Find a Saxophonist for hire near you in minutes! Option 1. Enter your event location below & contact a Saxophonist directly! Option 2. Request multiple quotes from available Saxophonists Get Quotes! Option 3. Read information & advice on hiring Saxophonists Read Advice! WANT TO KNOW MORE ABOUT SAXOPHONISTS? Read on for the most comprehensive guide to booking a Saxophonist, including how much a Saxophonist costs, exactly what they will do at your event, plus tips, advice and information to help make your event one to remember! 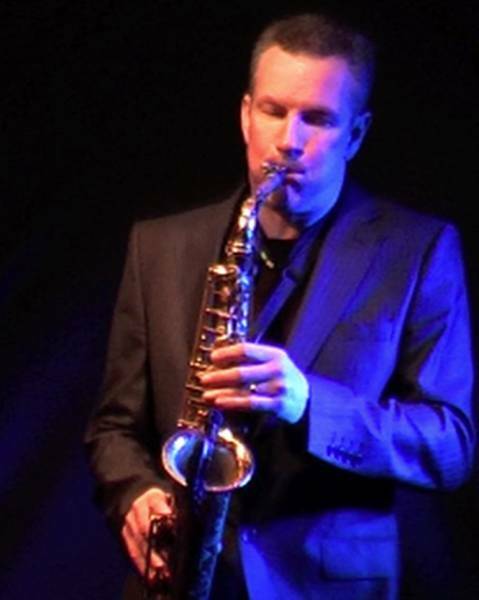 A Saxophonist can play traditional or contemporary Jazz, brass versions of Pop songs, or a bit of Soul and Motown! What exactly will a Saxophonist do at your event? The Saxophone is an extremely versatile instrument that can cover a range of genres, so whatever music you are into, you will be able to find a Saxophone Player that specialises in that particular genre. It’s to be noted that most Saxophonists are as versatile as the instrument and can switch from Blues to Rock and Pop just as well! Mainly, a Sax Player will entertain your audience with a fantastic live show that will put the wow factor into celebrations and impress your guests, whatever their entertainment tastes may be. What event types are Saxophonists hired for? Are you looking to hire a solo Sax Player as entertainment at your wedding ceremony? This is one of the most sensual and romantic instruments on the planet so we highly recommended booking. Imagine the horns being blowed just before the big moment, as your wedding guests are walking into the registry office/church! Because of the slender ease at which a saxophone can be moved around, your hired Sax Player can be situated anywhere you choose. They can be playing at that all important moment when the bride walks down the aisle. They could play a traditional wedding song on sax or a maybe put a modern era twist on proceedings. Maybe you can arrange for them to play something like Percy Sledge’s classic hit ‘When a Man Loves a woman’. How about ‘A Million Love Songs’ by Take That?! Nobody can deny the sawing sax in that early hit for the boyband! The Sax Player can then play a celebratory song as family and friends leave the ceremony! Wouldn’t it be great to hire a Sax Player for when the wedding drinks recption is taking place?! When the bride and groom are busy posing in the wedding photos etc, and the guests socialise and drink that all important first glass of champagne, a professional Sax Player can be moving around from guest to guest, playing sax hits that span the decades. What a great conversation point! Maybe you will be looking to hire a Saxophonist for the wedding breakfast for when the newlyweds are meeting and greeting family and friends at the dining area/main hall? A Sax Player can totally transform the gaps between these points at a wedding. The Saxophonist can be the one relaxing people and getting all of your family and friends in the right, soulful mood! The amount of Pop songs where the sax and horns are key is extraordinary! Take the wedding evening reception drinks for example: The professional Sax Player can blow his or her way through passionate renditions of ‘Baker Street’ by Gerry Rafferty, ‘Edge of Glory’ by Lady Gaga, ‘Careless Whisper’ by George Michael, and ‘Smooth Operator’ by Sade! There’s so many more classic saxophone songs to be covered as well! It’s important to know that a Saxophonist can really get the party funky by playing over a backing track or alternatively, they can calm and soothe the night by simply playing solo. How about a beautiful rendition of the 1960’s classic ’Stand by Me’? Or maybe some Jazzy Frank Sinatra with a cover of ‘Fly Me to the Moon’? Please search our directory to find the best options for you! If you want to hire some soulful sax for a corporate event such as a trade show or a gallery opening then you won’t be disappointed! 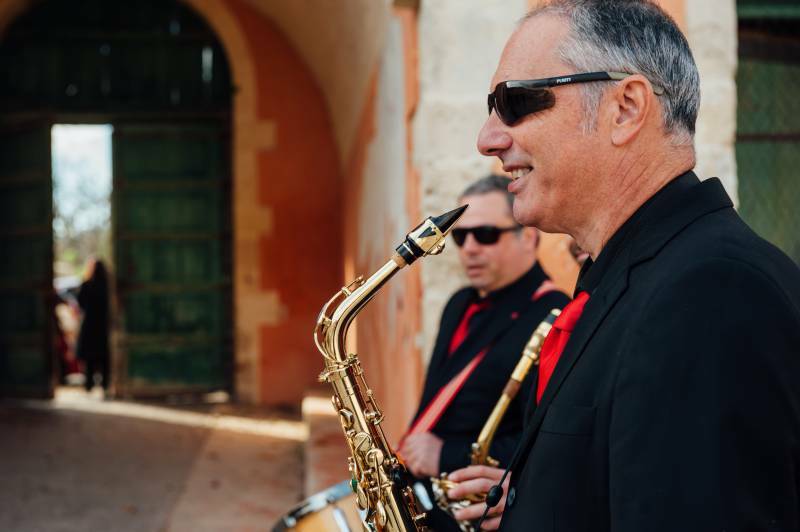 Let’s not forget that the Blues Brother’s sound is built around the sweet notes of the sax and would be the perfect icebreaker for clients, employees and managers alike at your work party! As mentioned, depending on how much brass you desire, a Sax Player can play solo or as part of a trio or more! Hire a Sax Player for your birthday party and expect a lot of fun! Whether you book a solo Sax Player, a Saxophonist with backing tracks, or a full band led by the Saxophonist, you can expect a repertoire that will appeal to every age group from kids to the elders! Imagine the Mark Ronson and Bruno Mars instant classic ‘Uptown Funk’ being blasted out as the birthday guests start dancing! You can request a vast amount of songs with a Sax Player don’t forget! Think about the sax in Pop songs such as ‘Young American’s’ by David Bowie, or maybe ‘Rio’ by Duran Duran?! Sax has always played a massive part in pop throughout chart history so you can be sure that there are hundreds of Pop songs that can be played for your guests pleasure. How much do Saxophonists cost to hire? Our simple to use entertainment directory allows you to firstly search for the best Saxophonists who are local (or travel to your area) and then via the contact form you may contact them directly to enquire for a no obligation quote to perform at your event. Some acts will also add a rough price guide to their profile for your convenience. What are the usual set formats and performance lengths for Sax Players? A Saxophone Player can tailor their performance to times that will suit you and your event, however, on average a professional Saxophone Player will perform for two 45 minutes sets. How much space will a Saxophonist need at your event? A Saxophonist is very compact musician who will not need that much space for performing. As the instrument is carried, all the Sax Player will require is the space around him or her to play their instrument comfortablly. We advise a staage area that is no smaller than 3x3 metres. What equipment and set up requirements do Saxophonists need? As with most artists signs up on Entertainersworldwide.com, a Saxophone Player will provide most of their own equipment. This may include: a music stand, sheet music and the saxophone itself we hope! You may want to enquire if an artist needs a PA to amplify their sound, in which case we would advise to use our easy to use messaging service to find out. How can you find and book a Saxophonist with Entertainersworldwide.com? WANT TO RECEIVE A RANGE OF QUOTES FROM Saxophonists?